HOW MANY TIPIS DO YOU NEED? 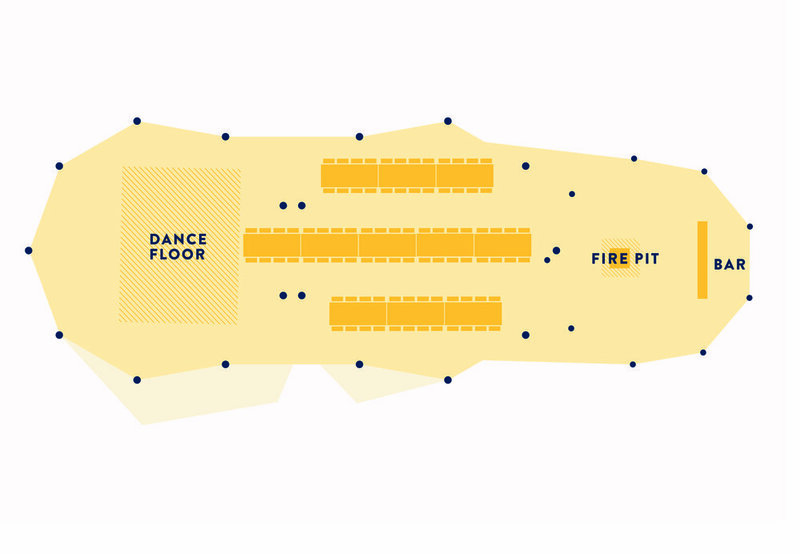 To help you visualise how our tipis can be linked we have mapped out some popular floor plans below. This will not only give you an idea of how many tipis you may need, but also how much space they take up, and how much they cost. We try to offer our giant Käta tipis, their flooring, their lighting and their furnishings, for the best price possible. We also try to give you the most transparent guide price we can. So under each floor plan the price includes everything you see on it, as well as flooring and lighting. The only thing not included in this price is the delivery fee. For a full price breakdown and personal Quote (with delivery fee) please get in touch here. As part of our service we design floor plans specific to your needs. We also feel that in order to get the most out of our tipis, and their flexibility, it's important to design different floor plans for different weather forecasts. This means that on the week of your event we have a plan whatever the weather. Raised sides: The lightly shaded areas at the edge of some floor plans show the covered area of the tipis when the sides are raised. Take a look at our gallery here to see what a tipi looks like with some sides up. Zip doors: For an alternative entrance we can place a zip door nearly anywhere around the outside of the tipis- perfect for your caterers or evening entertainment. The tipi poles: When we link the tipis together, each tipi canvas overlaps and forms the roof, but the poles stay where they are. On the floor plans the poles are displayed as dark dots and although they cannot be moved, they are great to decorate. The walls: Like a traditional tipi, the walls slope inwards. 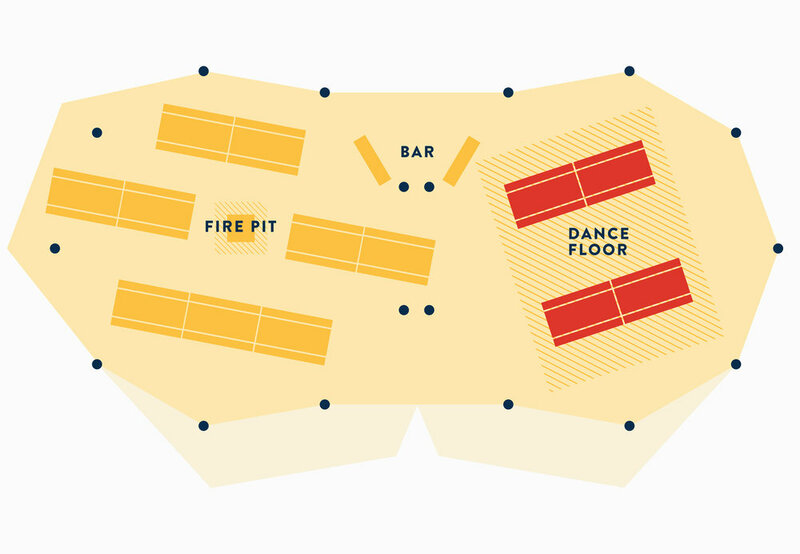 This means that around the outside of the tipi, where the canvas meets the ground, there is a small corner of limited space which must be considered- especially when locating the bar or stage.